Hydro excavating is one of the safest forms of excavation, if not the safest. The process involves blasting the dirt, gravel, sand etc. with water through a high pressure nozzle. The material is simultaneously vacuumed into the truck. Utilities and other buried structures are left completely unharmed. 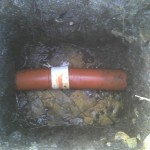 It is perfect for exposing utilities prior to mechanical excavation. 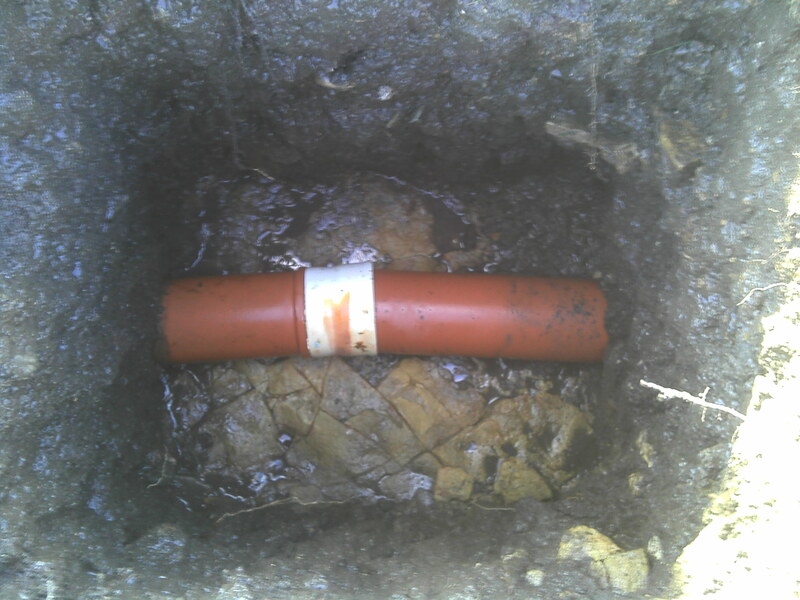 Utilities can be either potholed, or the perimeter of the excavation area can be slot trenched to verify whether or not anything passes through it. This is also a great method for small excavation projects like clean out installations. These type of jobs often involve holes only large enough for shoring, frequently 4′x4′ and over 8′ deep. Back hoes can only go so deep in small dimension holes, at some point they need to make the dimensions larger to continue. This is not the case with hydro excavating. Another clean out installation method frequently used these days is the “Vac-a-Tee”®*. No entry into the hole by personal is necessary with this method, making it another perfect candidate for hydro excavation. Holes for “Vac-a-Tee’s”®* can be as small as 18″x18″ and 8′ plus deep… try that with a back hoe! It can also be utilized in remote areas that are not accessible to other types of equipment. In these cases additional vacuum hose can be added, allowing us to reach areas that are a substantial distance from the truck. Some examples of this would be wooded areas, alleys, inside buildings, backyards etc.. There are countless applications for this process. * “Vac-a-Tee” is a registered trademark of LMK. We are not licensees of LMK, nor do we install their products. We do however routinely hydro excavate access points to facilitate installation by licensees.